Sc2tog stands for “single crochet two together” and it is a standard crochet decrease used in crochet patterns. When you make a sc2tog, you effectively decrease your stitch count by one. The sc2tog decrease is one of those techniques you will need to know if you plan to work a project that requires shaping. This include projects such as amigurumi (crochet stuffed animals) and clothing. I’ve come across this stitch in crochet patterns many times – so much that I’ve added it to my list of “must knows” for beginners. The good news? It’s incredibly easy to crochet. 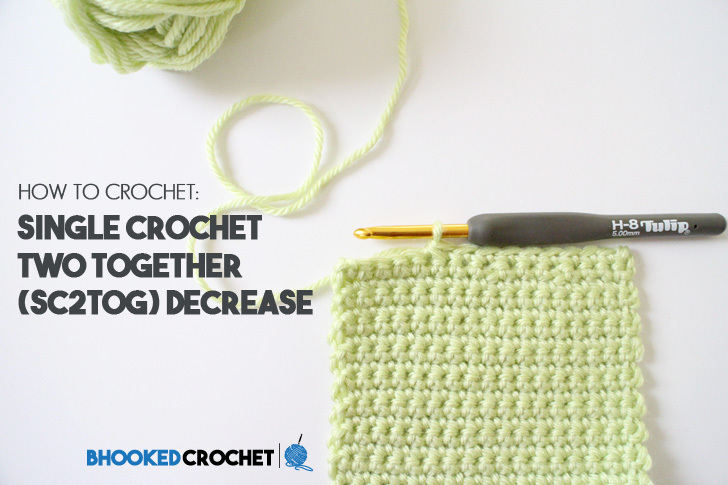 In this tutorial, I’ll demonstrate how to do the Sc2tog decrease stitch. To get you started, crochet a little swatch with a few rows of single crochet stitches. You don’t need anything fancy, just a foundation. This tutorial is also available in a left hand version. Click below to be directed to the left handed video on my Youtube channel. 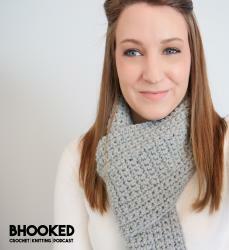 The sc2tog stands for “single crochet two together” and is used to decrease your stitch count by one. Insert your hook into the designated stitch, yarn over and pull up a loop. Insert your hook in the next stitch, yarn over and pull up a loop. Yarn over and pull through all three loops on your hook. One decrease made.